There are only two things to prepare for this Ice Cream. 1. 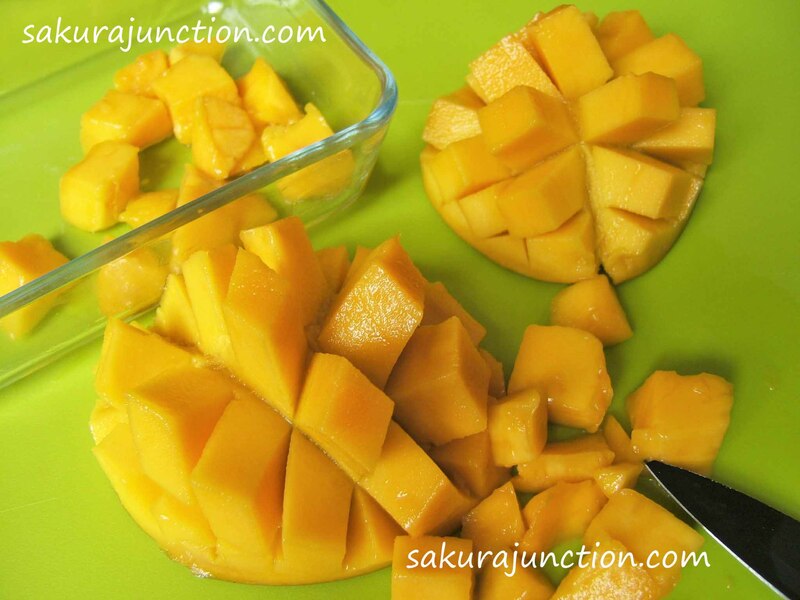 Select ripe & juicy Mangoes. Cut them into cubes. Put the cubes into a container with a lid and freeze it for a few hours. 2. 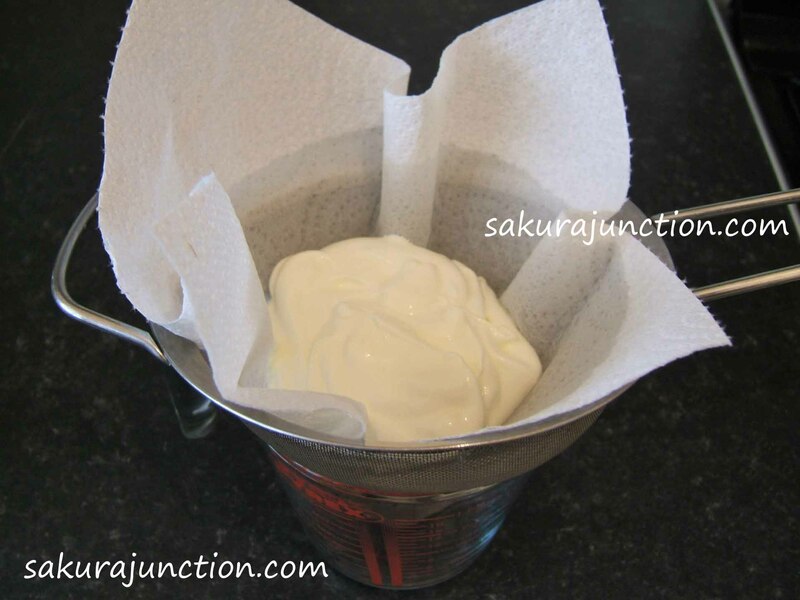 Place Yogurt on a kitchen towel over a strainer (or coffee filter) for a while in order to drain some water out. Keep draining in the refrigerator for a couple of hours. Greek style yogurt has less water so you don’t have to drain if you don’t mind a little softer Ice Cream, but if you prefer harder Ice Cream I recommend to take this process. 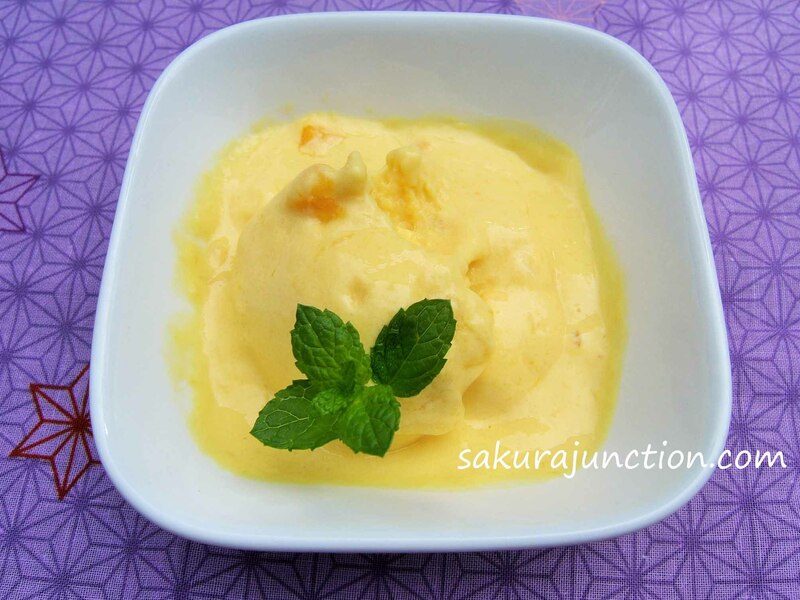 If you think the ice cream is still too soft you can put it into the freezer to harden it of course, however, it is also very nice to have it slightly sorbet like. 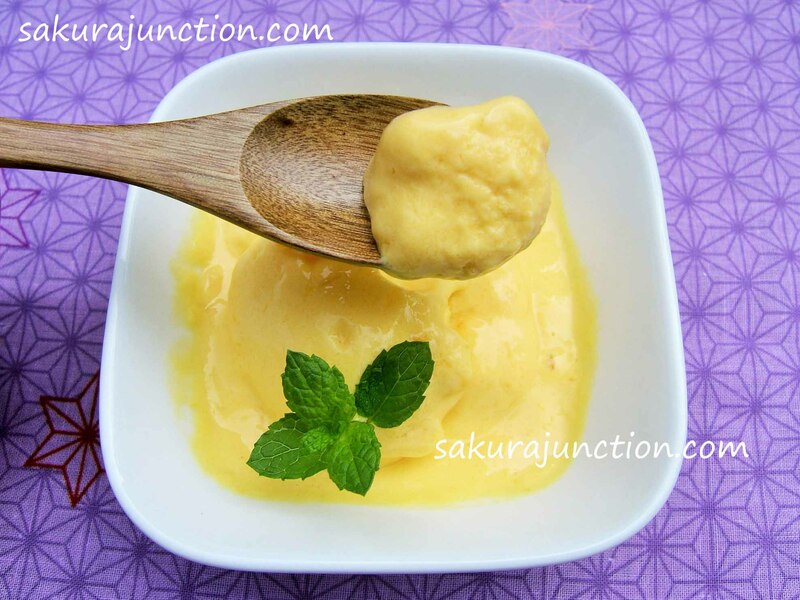 The drained yogurt is called ‘Yogurt Cheese’ and it is very useful to use for baking. 3. 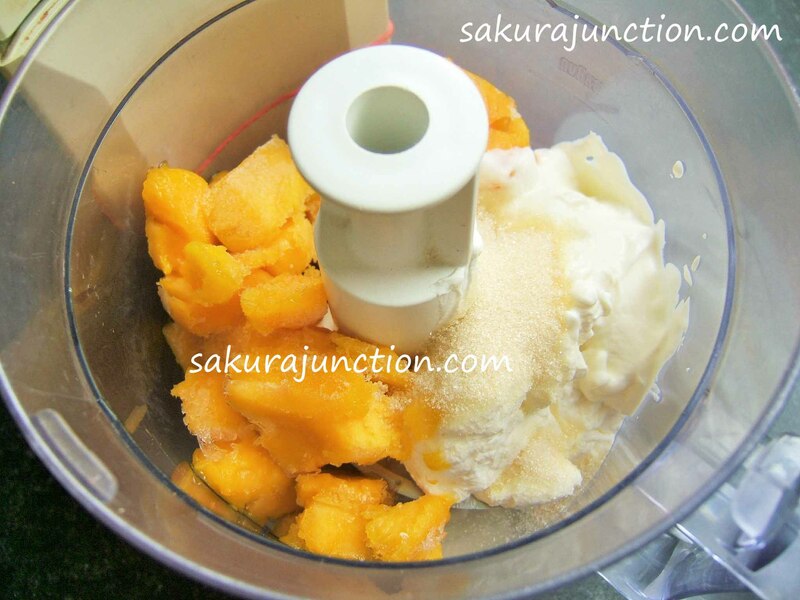 Just before serving put all the ingredients in a food processor and blend together. 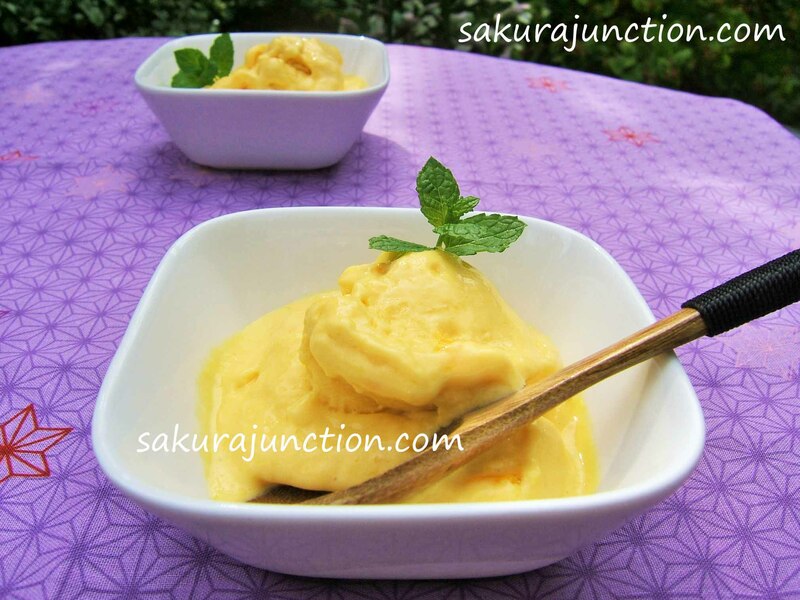 You might want to leave the frozen Mango in room temperature for about 5-10 minutes to soften a little beforehand, in case it might be too hard to blend and possibly damage the blades of the machine. You don’t need to blitz out everything completely. Some pieces of mango left gives a nice texture. 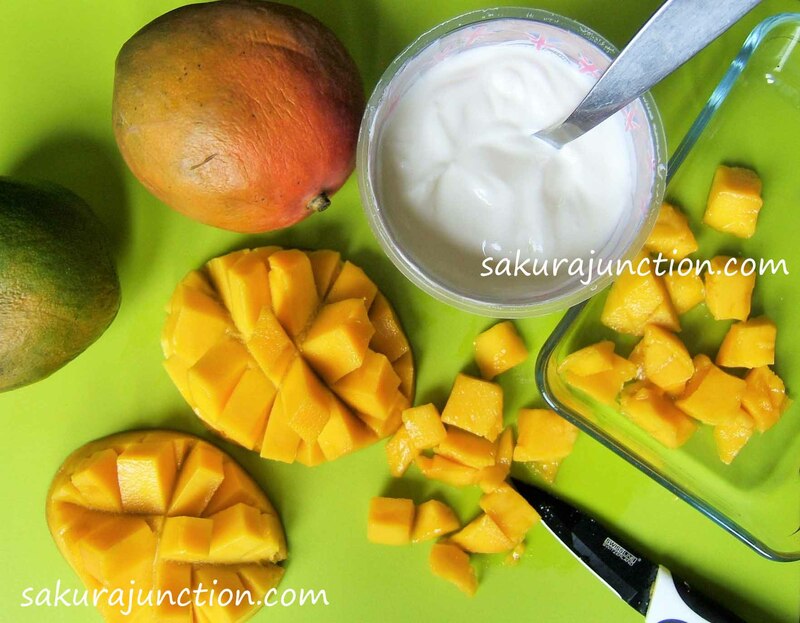 The amount of sugar required depends on how sweet the mango is. Adjust the sweetness for your taste. For flavouring you can add any liquor you prefer or leave it out for serving to children. So easy! I love mango, too. 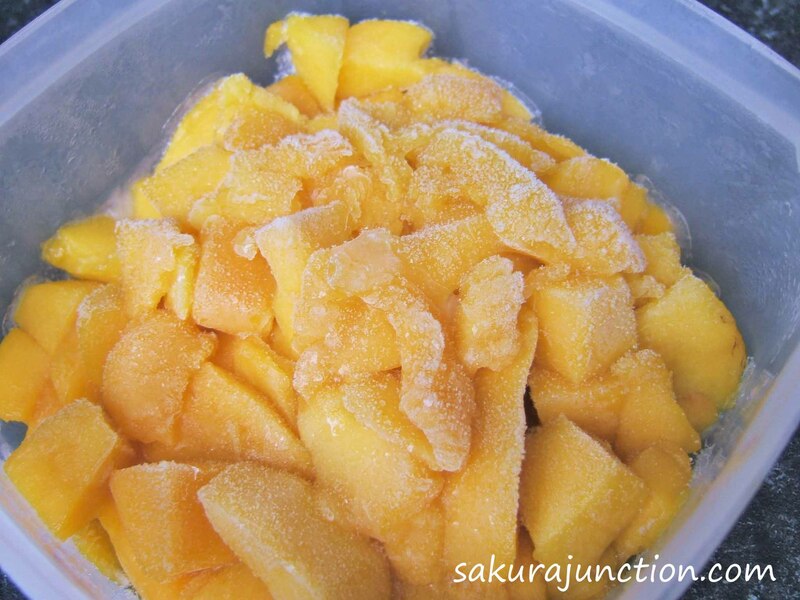 I’ve got to get some frozen mango and give it a try. Yes, very easy. Sometimes simple is the best!